Things can happen pretty quickly in the bush, so although the turn around time was quick, it’s not that surprising that in just 6 months, the male leopard population has undergone some radical restructuring. Referring back to a post from August last year, we see that the Marthly male was still very much a force along the river, mating with the Mashaba female and looking to help her produce her next litter. The Camp Pan and Tu-Tones males were both mating with the Tamboti female, and the Gowrie male had to be actively sought out by the Tutlwa female for mating, as their territories hardly overlapped. The Gowrie male has expanded his territory to now include the whole of Marthly, right down to the Sand River and the Londolozi Camps, taking advantage of the ageing of the Marthly male. The Marthly male himself has been officially dethroned as the King of the River in Londolozi. Narrowly avoiding death under the claws of the young Tsalala lioness a couple of weeks ago, he is a skinny and spent version of his former self, and is seldom encountered these days. The Tu-Tones male has experienced a severe mauling by another predator and when seen by ranger Don Heyneke a few days ago, was in terrible condition. He is sadly not expected to survive long. The Camp Pan male also had a narrow escape from the young Tsalala lioness, ironically on the same day as the Marthly male, and given his atrophied back leg and his current non-territorial status, he is very unlikely to see 2015 through. This sounds like a roll call of melancholy and despair, but it is simply life in the bush undergoing another revolution. 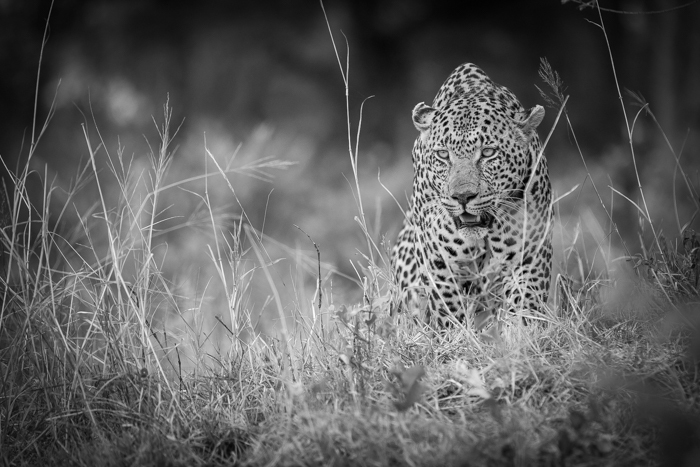 New blood south of the river is rising to the fore, and two leopards in particular are staking their claim in the heart of Londolozi. The Piva male’s stranglehold on the central and eastern areas of the property grows ever stronger. Read Simon Smit’s January update of this leopard’s movements for a more detailed report. The Piva male cautiously approaches the top of a termite mound, not wanting to attract the attentions of a distant impala herd. His main rival is a relatively unknown entity, the Short-tailed male, a leopard who originally appeared in mid to late 2014 and whose origins are still a mystery (This animal is not to be confused with the Tugwaan male, who was also once named the Short Tailed male, after his mother). Although not too visible in this photo, the Short Tail male has a tail a good few inches shorter than other males of the same size, and in many respects is almost jaguar-like in appearance. When first encountered on the Londolozi property he was a relatively skittish leopard, a fact that suggests he came from the Kruger National Park, where enormous wilderness areas with no roads are to be found, and the leopards there are not used to the Land Rovers. He was seen mating with the Ximpalapala young female in November 2014, so there is the chance she is stashing cubs somewhere (She is a seldom-encountered leopard and little is known about her current status). As he has continued to settle in to his new home, so too have the lines that divide his territory from the Piva male’s become more entrenched. Seldom does one hear one of these two males rasping out their territorial call without hearing an answering call from the other, somewhere in the distance. Although both males are still establishing their respective territories, this is a rough estimate of the areas in which they can be encountered. Short Tail male in the red area, Piva male in the purple. Thankfully, due to concerted efforts by the ranging and tracking team, the Short-Tailed male has become far more relaxed around the vehicles, and sightings of him are becoming more and more frequent. Whilst it is sad that leopards like the Camp Pan, Tu-Tones and Marthly males should be thrust aside by stronger opponents and be consigned to oblivion, it is part of the natural order of things, and when they go, we should not weep their passing. Rather, we should rejoice in the fact that the leopard population continues to thrive in as natural a way as is possible, without interference from us. It is natural for the older males to pass on and younger males to come in, but it is still sad. It is not good to hear about Tu tones, always a favourite of mine, is he not only around 6 or 7 years old? It feels odd when I think of both the Camp Pan and Marthly males dethroned, but in my mind they are legends that lived long and well. The Piva male is really impressive(I lost count how many times I’ve said that) but I’m curious about the Tu-Tones male. He’s a young and strong male like his father, who caught him? Was it a lion or a lioness? or maybe he was injured in a fight with another leopard? Anyway, thanks for giving us some of your time and updating us on the lives of the leopards. James, what has happened to Pink Nose – Maxabene 3.2 I believe he is known as? Don’t hear news of him anymore. He is Tu-tones. His brother is know as Makhotini on Londolozi and south of Londoz is called Maxabeni were he is dominant over a large Territory and has fathered 3 litters of cubs. Camp Pans sons have Become very impressive leopards so hearing this about Tu-tones is very sad. Sad news, I hope that against all odds the Tu tones male pulls through. He is just entering his prime, it would be a great shame if he dies.Please keep us updated. Over the past three years I have spent time in the presence of Camp Pan, Tu Tones and Marthly it saddens me to hear of their injuries and loss of territory. Although other leopards will take over, these ones will always hold a special place in the hearts of those who experienced their being. I’m saddened to hear about Camp Pan, Tu Tones and Marthly male James….all such beautiful leopards. Like everyone else, I’m wondering what happened to Tu Tones…do you know if it was a lion attack? It’s always sad to see the end of the reign of such incredible leopards. Please keep us updated…I am also hoping they will survive and be with us for a while longer. 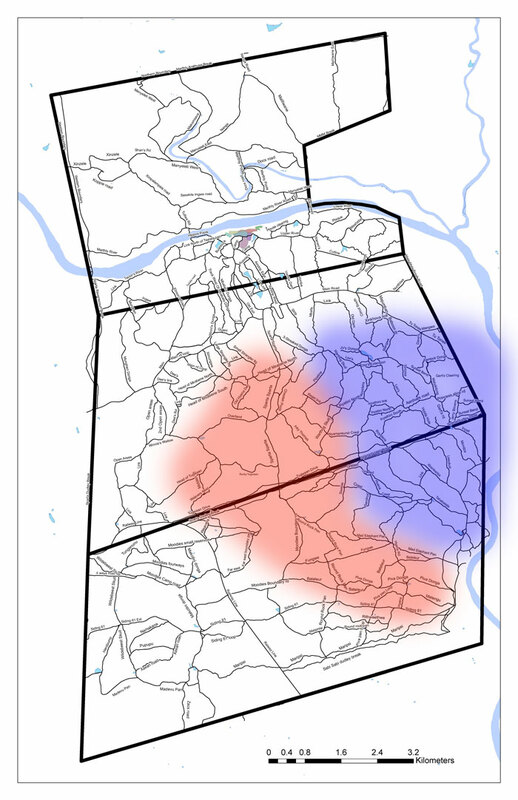 Great blog (and map), but bad news! 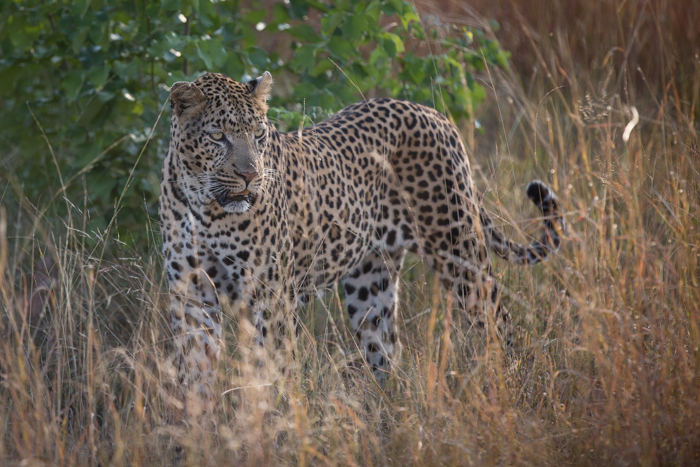 While sad, Camp Pan and Marthly male are leopard legends that have had successful offspring. The tragedy is that Tu Tones had a real chance to live up to his father’s reputation. I think he got into several consecutive, serious fights over too short a time period. His brother appears to be doing very well. Come on Tu-Tones, you can pull through! I am looking forward to hearing more about the Piva and Short Tailed males. Hopefully, “Short Tailed male” is a temporary name because it is so easy to confuse with Bicycle Crossing male aka Tugwaan male aka “Shorty.” MM used to call Tu-Tones the [new] Newington male, which could be a little confusing, since the old Newington male (son of 3:4) still has living offspring. BTW I believe MM refers to Piva male as Treehouse male (not 100% sure). Leopard names and aliases are baffling sometimes. James, do you have other photos of the Short-Tail male … the other side of his face, his right side, etc.? Thank you in advance.